Vanessa McCarthy-Johnson as pictured at the WESA studios on Tuesday, March 7, 2017. Vanessa McCarthy-Johnson was scrambling to organize her community at this time last year. The Wilkinsburg Borough councilwoman said she felt there was a need to come together after five people, including a pregnant woman, were murdered at a backyard barbecue in the neighborhood. 90.5 WESA’s Virginia Alvino Young spoke with McCarthy-Johnson about the challenges the community has faced since then. What was your initial reaction to the shooting? What's changed in Wilkinsburg in the past year? I think the sense of community has changed a little bit, I think people are more willing to get past minor issues. Did the shooting impact outside perception of Wilkinsburg? Our media portrays Wilkinsburg as the bed of the worst criminals and most dangerous people in the world, so I’m not exactly sure if it got any worse. Our local media, if an incident happens in another community, but the person who was a participant is "Wilkinsburg man, Wilkinsburg woman," blah blah blah. So all you hear is the negative side of Wilkinsburg, where people don’t really see how we are and how loved the community is. McCarthy-Johnson held initial community meetings after the shooting, but says maintaining monthly follow-ups has been a challenge. Actually I kind of got burned out, and I will take the position that I probably should have pushed it a little bit more. So right now I’ve been trying to get people back to being interested in joining a resident group, because I think as residents, you have more of a voice than depending on your local government to do things. I don’t see it as a member of the Wilkinsburg council doing this, I see it as a person that’s concerned about the future of Wilkinsburg, and about how we are perceived in the media. What are the barriers to getting people engaged? You know what, I don’t know (what the barriers are). I know one of my issues was I ran out of time, so now I’m out there again trying to get people involved, and starting to talk to different communities. I’ve reached to organizations in Homewood that are doing really nice, good things, that we can duplicate without reinventing the wheel, but the problem is getting physical bodies, and getting people involved. I think I have a pretty good base of people that are interested, but I have to, for me I have to re-energize them. How much can the community do at the borough level to curb violence? I think we’ve done a lot of it. It’s educating the public about what can be done, making sure that they’re calling 911 when they see anything, because people hear gun shots all the time and they don’t know where it’s coming from so they won’t call, but call about everything. I call about cars parked contrary to flow. I know my neighbors hate me but that’s OK. You start to reel in all the minor things and you start getting people to have pride in their community. You get them to realize that it affects everybody. How do you gain support for the community outside of Wilkinsburg? We’ve been pretty fortunate to have a really good relationship with our local officials, our representatives Ed Gainey, Jay Costa and our federal congressman Mike Doyle all showed up, and are all willing to support things that we do in Wilkinsburg. And I think that’s a big help. When we need something that will help stem the violence or work on a project, they’re willing to put their recommendations in and get to that point. I think they all want to see these resident groups start forming, because that helps them in the long run. 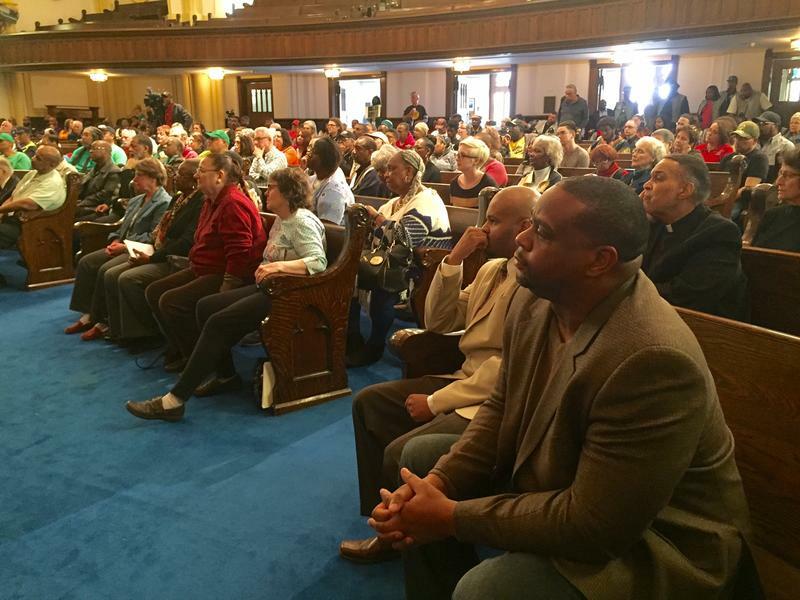 Hundreds of residents filled South Avenue United Methodist Church in Wilkinsburg on Saturday to talk about crime and community development following Thursday's shooting that killed five people, including a pregnant woman. Among community members and leaders was Michael Walker, whose son, Jerry Shelton, died in the mass shooting. When Carl Morris orders pizza, delivery drivers ask which side of Ardmore Boulevard he lives on. He tells them it's the east side of Franklin Avenue -- the "good half of Wilkinsburg." Morris and family huddled in their home late Wednesday night when at least two shooters opened fire on a backyard party across the street at 1304 Franklin Ave. The pair killed six people and injured three in the borough just east of Pittsburgh. 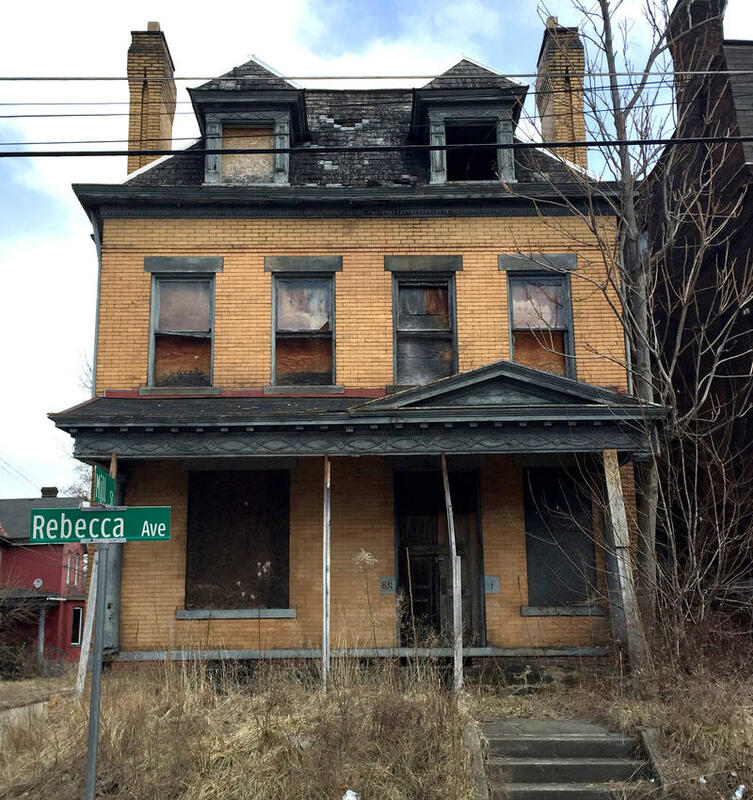 If walls could talk could be the premise for a tour of vacant homes taking place this weekend in Wilkinsburg. The Wilkinsburg Community Development Corporation and Carnegie Mellon University students are combining their efforts to attract potential residents to the borough. How do they plan to accomplish this task? We’ll find out from Wilkinsburg CDC Communications & Outreach Coordinator Marlee Gallagher and Carnegie Mellon School of Public Policy and Management at Heinz College student Kenneth Chu. Also in the program, the Austin-based innovation movement titled "Black Sheep" stops in Pittsburgh to hear stories of renewal on its "America's True North" tour and business contributor Rebecca Harris puts a spotlight on Wilkinsburg.